Now that the draft has ended and OTAs are set to begin, I wanted to take a closer look at the Packers’ roster position group by position group, and rank each player by importance to the team. Each player will fall into one of the following categories. Impact Player – A potential Pro Bowler who opposing teams need to game plan for. Solid Starter – A player capable of being an average to slightly above average starter. Quality Backup/Role Player – A player who can start if needed and may also contribute on special teams. Not Guaranteed a Roster Spot – A player who may be fighting to make the final 53 man roster. First up – Edge rushers. In the Packers’ 3-4 scheme this mainly consists of outside linebackers, but it also includes players like Mike Neal and Julius Peppers, who will probably play a hybrid defensive end/outside linebacker role. Here are my rankings of the Packers’ edge rushers entering OTAs. 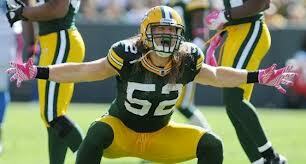 Clay Matthews – Matthews has been one of the most productive pass rushers in the league since his selection in 2009, with 50 sacks in 5 years. Incredible production considering he has missed 9 games over the past 2 years, and has never really had a pass rushing threat on the opposite side of him. With the offseason addition of Julius Peppers to help take some of the pressure of him, a healthy Matthews should regain his place as one of the NFL’s elite pass rushers. Julius Peppers – The Packers’ prized free agent acquisition, Peppers has an impressive 118 sacks and 39 forced fumbles over his 12 year career. But after “only” 7 sacks last season, there are some concerns that at age 34, his play may be on the decline. 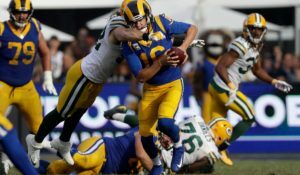 The Packers don’t need Peppers to be the centerpiece of their defense, but if he can take some of the pressure of Matthews, he will be well worth the investment the Packers made in him. 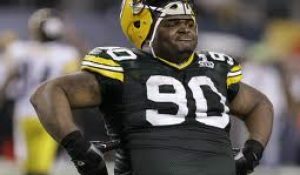 Mike Neal – When the Packers selected Neal in the 2nd round of the 2010 draft they envisioned he would be the replacement for defensive end Cullen Jenkins, who was due to hit free agency in 2011. But after 3 injury riddled seasons at defensive end, the Packers moved Neal to outside linebacker, a move that paid dividends for both parties. Neal had his healthiest and most productive season as a pro in 2013, and the Packers found another productive outside rusher. Nick Perry – Perry was expected to be the long term answer at outside linebacker opposite of Clay Matthews, but in his first 2 years, Perry hasn’t lived up to expectations. With only 6 sacks and 15 games missed due to injury, Perry will need to stay healthy and make a big jump this season if he hopes to keep his starting spot. Carl Bradford – What the Packers 4th round pick lacks in size he makes up for in explosiveness and a relentless motor. Bradford had 20 sacks during his last 2 seasons at Arizona State playing mostly defensive end, but he also has some experience at both inside and outside linebacker. Bradford will need to prove his worth on special teams early in his career, but he has potential to be a disruptive pass rusher. Andy Mulumba – An undrafted free agent out of Easter Michigan, Mulumba started 3 games for the Packers last season and flashed some potential, despite having only 1 sack on the season. With the addition of Peppers, Bradford and Hubbard, Mulamba will need to tap into that potential if he wants to secure a roster spot again this year. Adrian Hubbard – The biggest undrafted free agent signing by the Packers, Hubbard wasn’t nearly as productive as he should have been in college, and doesn’t have the same type of motor that Bradford has. What Hubbard has going for him is prototypical size for a 3-4 outside linebacker, and familiarity with playing the position in college, rather than being a converted defensive end. 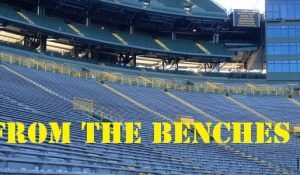 Hubbard has a long fight ahead of him to make the Packers’ opening day roster, but the Packers have a long history of keeping undrafted free agent outside linebackers. 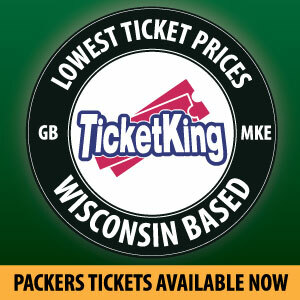 Nate Palmer – Many thought the selection of Palmer in the 6th round last year was a reach, and in his first season with the Packers, he did nothing to prove his critics wrong. Palmer was inactive for 9 games, including their playoff loss to the 49ers. He ended the season with just 17 tackles and did not record a sack. Palmer will need to show a marked improvement this offseason if he hopes to keep his roster spot. This entry was posted in Packers 2014 - 2015 Season and tagged Adrian Hubbard, Carl Bradford, Edge Rushers, Julius Peppers. Bookmark the permalink. Hey John, thanks for reading it. I would agree that only one of the last 3 will make the roster, and I would guess at least one of them gets stashed on the practice squad.